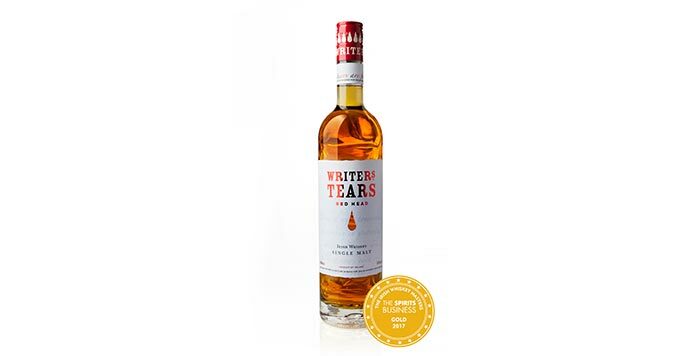 Royal Oak, Co. Carlow, Ireland – 9 August 2017: Walsh Whiskey Distillery is delighted to announce that Writers’ Tears - Red Head, has been awarded Gold in the ‘Premium Single Malt’ category in this year’s Irish Whiskey Masters. Organised by the prestigious London-based publication, The Spirits Business, the Irish Whiskey Masters is one of the leading annual Irish whiskey awards, seeking to reward excellence in appearance, nose, taste and overall balance. A renowned panel of leading spirits and on-trade specialists conducted an in-depth blind tasting of all entries before awarding Writers’ Tears - Red Head with Gold. Writers’ Tears - Red Head is the second expression in the Writers’ Tears range, first released in 2016 and joining Writers’ Tears – Copper Pot (a unique vatting of Single Malt and Single Pot Still whiskeys).